Join my email lists for weekly reflections delivered right to your inbox. 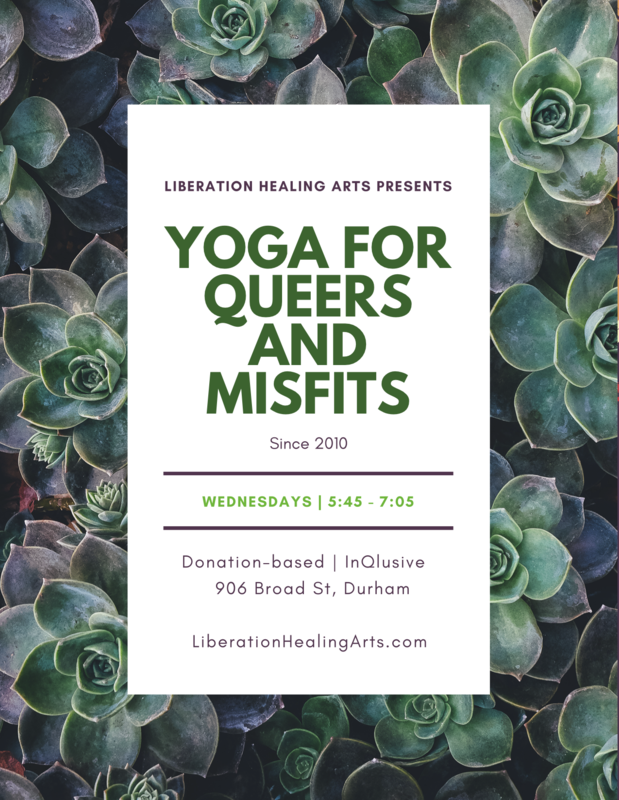 Click here to join my email list for Yoga for Queers and Misfits – one email per week, usually delivered on Tuesday in preparation for Wednesday’s class. Click here to join my email list for my general offerings – delivered sporadically, usually 1-3 per month, max. Please make sure to add yoga@liberationhealingarts.com to your address book, lest your spam filter banish these emails to the netherworlds.